Perhaps you might not be excited about spaceflight. 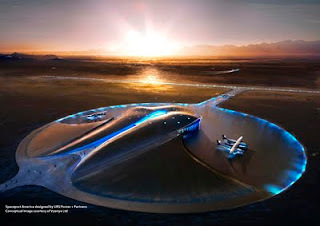 However, if you are human, you will be excited after you check out the promotional video from Virgin Galactic. The music alone should get you "pumped". You no longer need to be an astronaut from Russia or the US to fly into space, if you have US $200,000 lying around, you can book a flight on Virgin Galactic. The company is on pace to send the first commercial passengers within the next couple of years. Testing thus far has been favorable. Yes, I'm being cynical about the price range, but that is a necessary starting price, this technology is not going to fund itself. I'm truly happy that Sir Richard Brandson has resurrected space flight. I'm hoping the price comes down during my lifetime to something more affordable for little peasants like me. The project even has a cool port, no longer is it an airport, it is a spaceport, named Spaceport America which is located in New Mexico, USA. 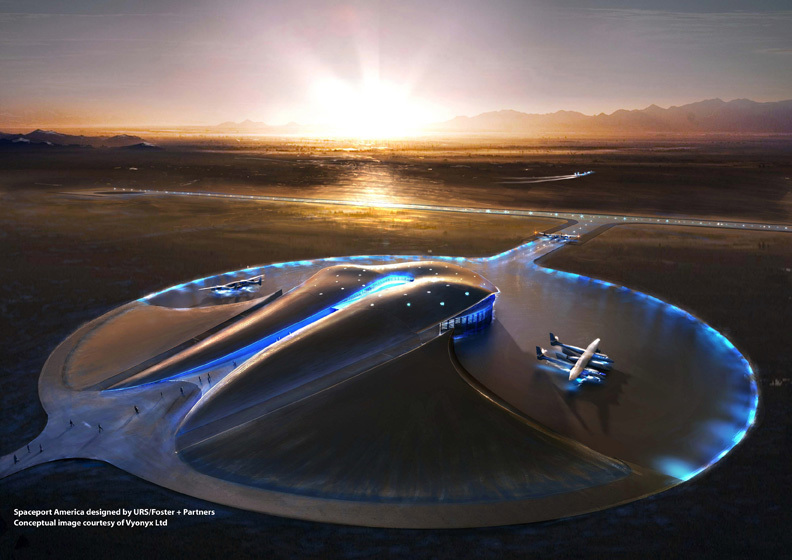 Spaceport America will be the world headquarters for Virgin Galactic.